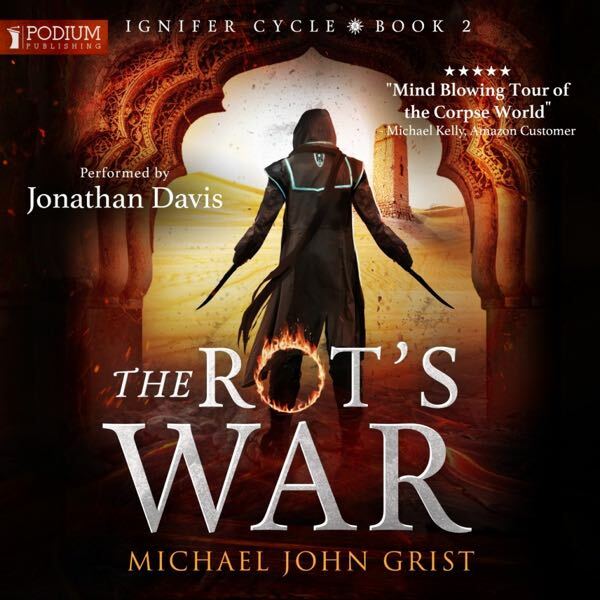 Book 2 of the Ignifer Cycle – The Rot’s War – is coming in a month (December 18) as an audiobook! Podium are releasing it to follow up their August launch of book 1, The Saint’s Rise. The promotional effort for this looks to be epic. I am going to push it to my list and hopefully via Bookbub. They are going to push it to their phenomenal list for the first time. I’m thinking it’s going to be huge. Here’s the cover for audio. More on this as we get closer!